Exaggerator and Nyquist to Rematch in 2016 Belmont Stakes: Preakness winner Exaggerator and Kentucky Derby winner Nyquist are heading to Belmont Park to renew their rivalry in the 148th running of the Grade 1, $1.5 million Belmont Stakes on Saturday, June 11. 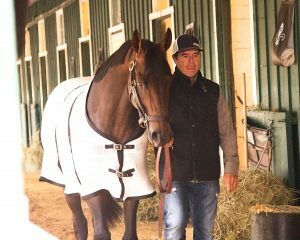 Trainer Keith Desormeaux reported that Exaggerator was “full of energy” Sunday morning in the aftermath of his rousing 3 ½-length upset over previously undefeated Nyquist in Saturday’s 141st Preakness Stakes (G1) at Pimlico Race Course. Exaggerator, who had been 0-for-4 against Nyquist heading into Saturday’s Preakness at Pimlico Race Course, got the best of his rival with a late-charging, rail-skimming run through the mud that carried him to a 3 ½-length victory over Cherry Wine, with Nyquist coming in third and suffering his first career defeat in nine starts. 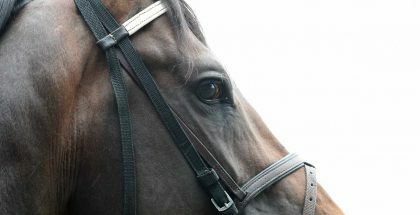 Both colts emerged from the race in good order, according to their connections, and will ship north on different timetables to prepare for the 1 ½-mile Belmont, the centerpiece of the three-day Belmont Stakes Racing Festival from June 9-11. Nyquist is scheduled to arrive at Belmont Park on Monday, May 23, with Exaggerator set to leave Baltimore in one week. Early contenders expected to join the two in the Belmont are Preakness runner-up Cherry Wine, fifth-place finisher Lani, the Todd Pletcher-trained Destin, Suddenbreakingnews and Cherry Wine’s stablemate, Blue Grass winner Brody’s Cause. Exaggerator, whose margins of defeat to Nyquist had steadily narrowed prior to Saturday’s breakthrough victory, enjoyed treats of carrots and apples Sunday morning as trainer Keith Desormeaux tried to take in the significance of his first Classic win and what awaits the colt in New York. Desormeaux, whose brother, Hall of Fame jockey Kent Desormeaux, will be aboard as he goes for his second win in the Belmont, said he was looking forward to a rematch with Nyquist, last year’s 2-year-old champion. The trainer said he thought Exaggerator might have an edge in the Belmont, the longest of the three Triple Crown races, based on pedigree. 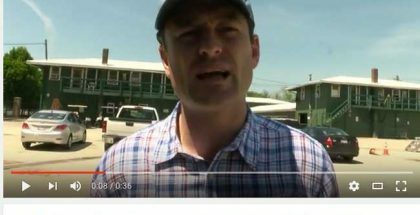 “My horse is a little more skewed toward distance [than Nyquist] as far as pedigree is concerned,” he said. “He’s Curlin, Curlin could run all day. He got beat a nose in the Belmont. Curlin is known in the industry as a classic producing horse. 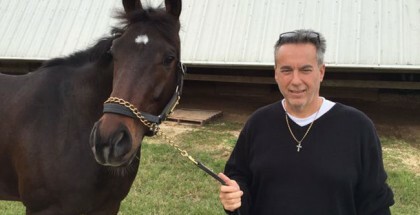 He’s out of a Vindication mare, who’s by Seattle Slew. It’s distance on top of distance. He should relish it. 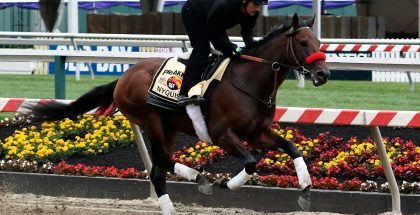 Nyquist’s trainer, Doug O’Neill, said the Derby winner was in good shape Sunday morning and would van to New York Monday morning along with several other horses. The decision to aim at the third jewel of the Triple Crown wasn’t difficult, O’Neill said. The Belmont will be run June 11 at Belmont Park. The rematch between the winners of the first two legs of the Triple Crown would be the first since 2013, when Derby winner Orb finished second and Preakness winner Oxbox third behind Palace Malice. In 2011, Preakness winner Shackleford was fifth and Derby winner Animal Kingdom sixth to Ruler On Ice. Japanese import Lani, who also finished ninth in the Derby, is headed back to Belmont Park on Sunday, where he trained up to the Preakness, in preparation for his own start in the final jewel of the Triple Crown.